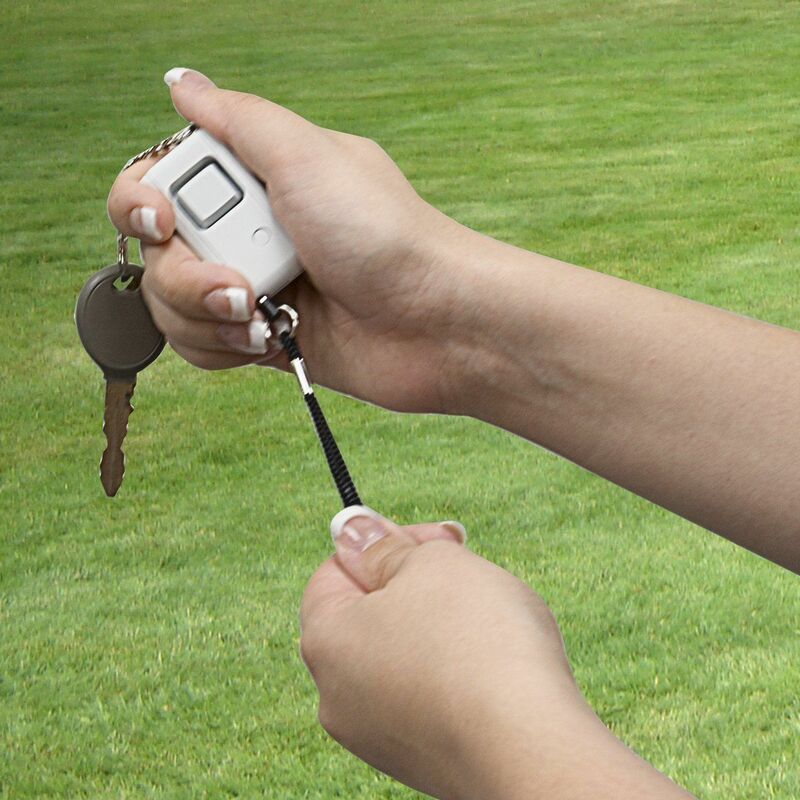 The Personal Security Keychain Alarm acts as a portable security solution that delivers peace of mind wherever you go. The ultra-slim, inconspicuous alarm attaches easily to any keychain or can easily slip into your pocket, purse or backpack. 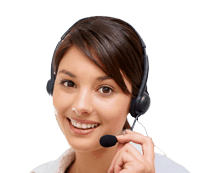 Simply activate the 120-decibel alarm by pulling the pin in an emergency or unsafe situation to immediately draw attention and alert others. The unique pin design makes it difficult for an aggressor to deactivate the alarm. The LED key light provides convenient light when looking for a car or door keyhole. Ensure your alarm is fully operational with the low battery indicator. 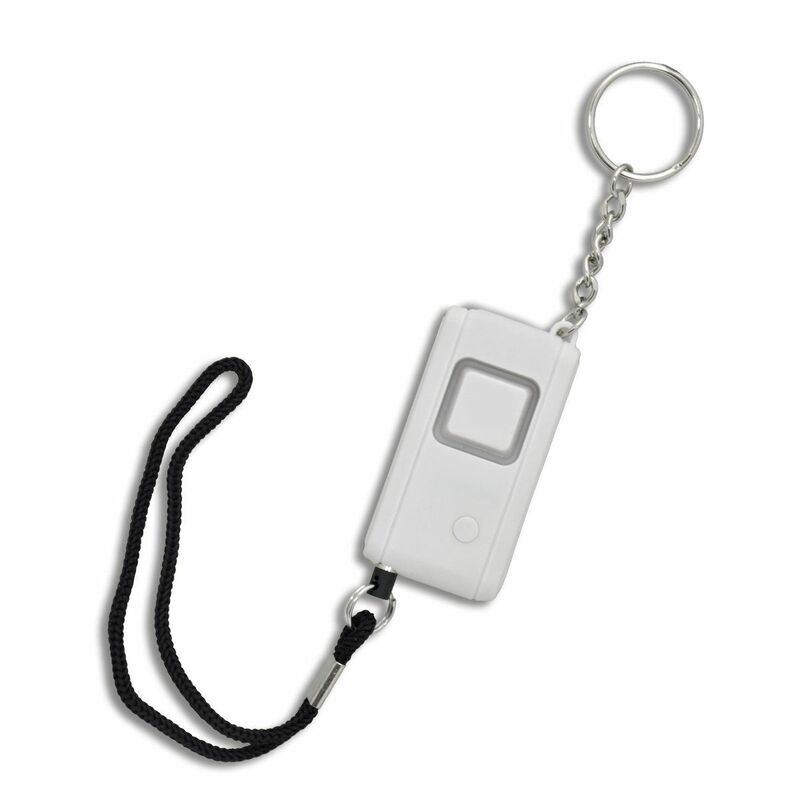 The simple design and ease of use makes the Personal Security Keychain Alarm ideal for all ages.